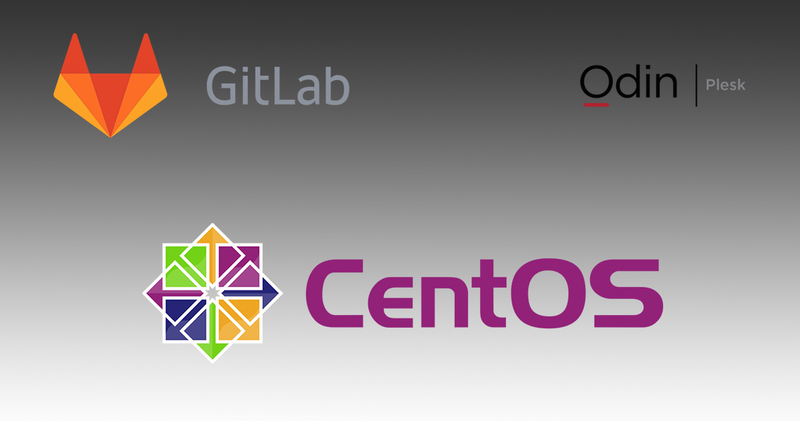 Installare GitLab con Plesk 12 su CentOS 6 - Nullalo! Iniziamo col capire di cosa stiamo parlando: Git è un sistema software di version control distribuito (DVCS – Distributed Version Control System), creato nel 2005 da Linus Torvalds, programmatore finlandese noto in quanto autore della prima versione del kernel Linux. In breve, esso consente di tenere traccia delle modifiche apportate al codice sorgente di un software (commit) e delle sue versioni (tag), lavorare parallelamente su un altro “ramo” dello stesso software (branch) e unire le proprie modifiche a quelle degli altri sviluppatori (merge). Il tutto viene gestito mediante una repository, la più famosa delle quali è GitHub, che tuttavia è una repository online. Questo tutorial è rivolto a tutti quelli che vogliono disporre invece di una repository Git personale (ed eventualmente privata) sul proprio server, nel caso particolare in cui su quest’ultimo sia installato CentOS con Parallels Plesk e si usi GitLab come piattaforma per la repository. In tal caso, infatti, la coesistenza tra GitLab, Nginx e i virtual host di Plesk può diventare difficile da gestire: se siete arrivati qui, avrete sicuramente notato che in rete esistono informazioni frammentate su come procedere senza avere problemi, da cui il motivo di questo tutorial. Iniziamo dunque: assumiamo che abbiate un server Linux CentOS v6.5 con Plesk installato (abbiamo utilizzato la versione 12.5.30 come riferimento, ma la procedura è stata testata anche sulla versione 12.0.18). First let me thank you for this tutorial which helped me a lot installing gitlab on plesk 12.5. Nevertheless I can’t download zip archive of projects, I am redirected to a page with json metadata using your configuration. In this case archive links will work, but gitlab pages will show a message “Forbidden”. Do you have this issue ? Did you manage to deal with it ? which version of GitLab did you install on your server? Now you have gitlab-ce with https enabled. that is used to let GitLab communicate with bundled Nginx reverse proxy internally over HTTP, even if external_url uses HTTPS. Did I miss your point? GitLab replaced in the last versions gitlab-git-http-server with gitlab-workhorse, a daemon that handles archive downloads too. I’m currently testing updated Apache & Nginx settings, and I will update the procedure described in this article (that was tested on version 8.0.5) once I’m sure everything’s ok with v8.2.3. I tried adding your configuration but still not working, I’m always having the json displayed. Also double check /etc/nginx/conf.d/gitlab.conf file and Nginx & Apache settings for GitLab v8.2.3. Ok guys, just updated the article, adding configuration for GitLab v8.2.3 and some additional configuration parameter (uploads folder, SSL, etc…). Everything’s working in my dev environment: I also tested avatars and documents upload, project zip download and so on. Let me know if you experience some issue, ok? otherwise I get a 502 error. try to run sudo gitlab-ctl reconfigure, it should fix folder permissions for you. As double check, try to list that folder (/var/www/vhosts/itsmyskills.com/lab.itsmyskills.com/git-data/repositories/Sylvain) as git user (su git from terminal), maybe some upper-level folder does not have the right permissions. Finally, if you can’t solve, just leave repository folder outside virtualhost directory (in /var/opt/gitlab/git-data). Hey, thanks for this toutorial, it helped me a lot. But I intalled Gitlab 8.3.4 there I didn’t find the worhorse option. Does they change this back ? Whoops, GitLab is taking too much time to respond. My System ist Ubuntu 14.04 with plesk 12.5. Maybe you have an idea what I am doing wrong? GitLab v8.4.0 is out, and it still uses gitlab-workhorse. Regarding your 502 error, it could be anything: you should check GitLab logs located in /var/log/gitlab to gather further details. 2016-01-26_16:35:07.10485 Warning: the running version of Bundler is older than the version that created the lockfile. We suggest you upgrade to the latest version of Bundler by running `gem install bundler`. But I have no Idea what to do with this error ? I think you’d better upgrade your Ruby and Gem packages since, as described in the article, GitLab was designed for Ruby v2.0+. the update remove some of the errors. But I don’t know who needs the permission. Then this is very simple. The second error maybe is a little bit complicated. as already written for Sylvain’s issues, try to run sudo gitlab-ctl reconfigure, it should fix folders permissions for you. As double check, try to open /var/log/gitlab/logrotate as git user (su git from terminal): if you can’t, you’ll probably need to chown that file. “Not a git repository error” seems to be a permission error too: try to list the data folder as git user and, if you can’t solve, just leave repository folder in the default location (/var/opt/gitlab/git-data). Thank you for this tutorial it got me on the right path. I am running Plesk 12 on Ubuntu 14.04 with the latest gitlab omnibus and could not for the life of me get the permissions right on the gitlab folders within my vhosts domain so I’m using the default instead. Is there any great benefit to keeping uplaods and data within the do!aims folders? a benefit could be the ability to include GitLab data in Plesk virtual host scheduled backup, without having to backup your repository’s data separately. Maybe you should think about moving just backup folder into your vhost folder and keep data and uploads in the default ones. Of course, if you don’t use a remote device (NAS, other server via FTP, etc…) for backup, there’s really no difference between Plesk backup and GitLab one, since both will stay on the same server that holds the data. Hi first let me say nice tutorial. Which tells me that the process can’t access the socket. Any idea what I can do to fix this problem? I run into 403 forbidden from external call. I tried so many things but I don’t get it. Are there any ideas? Thanks a lot for your help. Yes, it seems to be a permission issue on /var/www/vhosts/myserver.com/gitlab.myserver.com/ folder. The git user of git group cannot list that folder. If this solves your problem, then you can further investigate on how to use a different user for GitLab instead of the default one (git). It doesn’t work. I tried this before, but I tried again. Without solving the issue. Same problem here. I tried everything and I can not solve the issue. another thing you should try is try to reach the path set in the configuration with the user that is supposed to use it. If you got (as I think) permission denied, you can try a level at the time (/var/, then /var/www/ and so on) to see which is the first unreachable path due to permissions. I had to renew my plesk, so I started from 0. But I found a new issue. Don’t know, if it belongs together?! If I try to update my User-Profile, nothing is updated and after refresh there are still the same values. you may have a permission issue on uploads folder. I helped myself today by the comments of your readers. With Apache, Gitlab showed no CSS / JS on the root server with Plesk. Now after I found your article, I wanted to try it with “nginx”. It worked wonderfully well and I wanted to thank you very much. I searched in Google for “plesk gitlab install”.